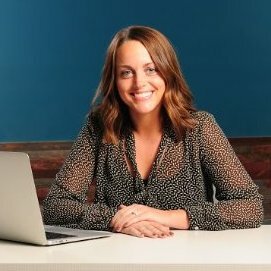 This guest post was contributed by Hayley Warack, VP of Digital Strategy, Converge Consulting. 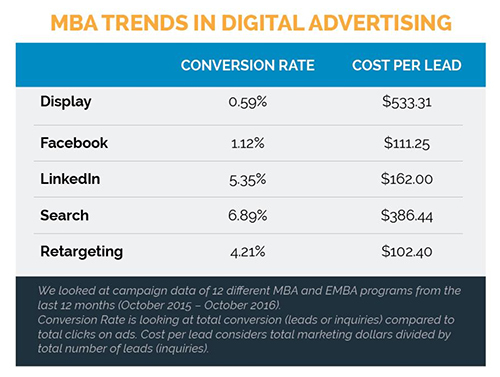 This is part one in a two-part series on digital advertising trends for higher education. The digital landscape has never been more competitive for higher education marketers. Inside Higher Ed’s annual Survey of College & University Admissions Directors reports that only 37 percent of admissions director met their enrollment goals for the fall 2016 semester. It has never been more challenging—and more imperative—to find ways to stand out. Digital advertising allows higher education marketers to target prospects with specific messages throughout the various stages of their enrollment journey. In today’s crowded marketplace, no school or program is immune to the need for paid advertising. An effective digital advertising strategy will help you reach target audiences that might not otherwise consider your program or institution. Even the most elite programs are allocating more budget to digital advertising. From social placements on Facebook and LinkedIn to search engine marketing, along with display, there have never been more opportunities to get your message in front of prospective students. But what channels have the most impact for your institution? How do we know where to invest, and when, for our specific audiences? Awareness of your program, where your audience is at in the decision-making process and your marketing budget can all be big factors in what channels and strategies will be the most effective for reaching your target audience. We recommend a mix of channels, placements and tactics throughout the funnel to complement each other and build momentum for recruitment. 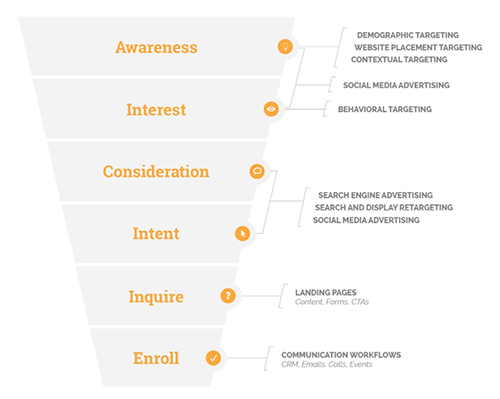 The graphic below depicts the digital advertising funnel. It is helpful to marketing teams when developing different strategies for each stage of the prospective student funnel. Converge Consulting specializes in digital marketing for colleges and universities. We work with several MBA and EMBA programs including University of Missouri’s Trulaske execMBA, UCLA Anderson Executive MBA and Santa Clara University’s new Part-Time MBA program. We partner with programs to increase awareness, drive qualified prospect inquiries, improve event attendance and boost our client’s overall enrollment numbers. Interested in learning about digital marketing trends for other programs and audiences? In a few weeks, we will follow up with part II of this blog series, where we take a deeper dive into data for certificate programs, traditional undergraduate, adult degree completion and graduate programs. And to dive deeper into how to get the most out of your LinkedIn Sponsored Content, download the guide, "Laser Focus: 10 Ways to Optimize Your Sponsored Content," today. Could Advertising Be the New Rock 'n Roll?